Some people may consider marijuana to be a hot button issue. Though plenty of people have strong opinions about the subject, they don’t always have the most important thing of all: facts. That is why we have compiled 10 facts you didn’t know about Marijuana. Twenty-four states in the U.S., along with the District of Columbia and Guam, allow for the use of medical marijuana in some capacity. These laws vary by state, ranging from allowing doctors to prescribe medical marijuana for various conditions to more limited, specialized access for specific studies. Marijuana is still illegal on a federal level, so research on medical marijuana can be difficult to come by. With marijuana laws varying by state, medical marijuana research has to fight through stigmas and red tape. Since standardization can help validate research, these variations in marijuana research can make it more difficult to move forward with new medical advances. Medical marijuana has been studied for years, with studies covering the treatment of issues from mental health to cancer. However, a recent breakthrough has occurred for treating epilepsy with a marijuana-based drug. The drug, called Epidiolex, helped reduce seizures in patients with a rare form of epilepsy, according to The New York Times. Cannabinoids, a component of marijuana, have helped cancer patients for years. Medical marijuana can help ease the pain, nausea and other difficult side effects that come from cancer treatment. There have been studies that show that medical marijuana could prevent the growth of tumors. Cannabinoids can help prevent the growth of blood vessels that supply tumors. 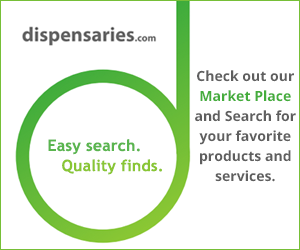 One of the reasons why medical marijuana has gained so much attention in recent years is because of the number of medical issues that it can aid. Marijuana has been shown to ease pain, help with anti-inflammation and aid people who suffer from anxiety. Almost seven out of ten Americans believe that alcohol is more dangerous than marijuana, according to a Pew Research study. Even President Barack Obama once told the editor of the New Yorker that he does not believe that marijuana is more dangerous than alcohol. Many people who are against marijuana use the argument that legalizing marijuana, even for medical purposes, opens the door to legalizing other drugs. However, a recent poll of almost 2,000 Americans by Vox and Morning Consult showed that most U.S. voters do not want to legalize drugs other than marijuana. The same poll showed that a majority of Americans who support the decriminalization of marijuana would not want to decriminalize other drugs. Not only has cannabis been used for medicinal purposes for thousands of years, Western culture has used it since the 19th century, according to National Geographic. It was used for everything from pain relief to anti-inflammatory relief. Marijuana has been studied for generations, for medicinal purposes and beyond. More than 20,000 studies have examined the multiple uses of marijuana. Even with the laws that complicate the study of marijuana, scientists and researchers continue to pave the way toward understanding how marijuana can help people. By compiling the 10 facts you didn’t know about marijuana, we help put you in the driver’s seat, making informed decisions about the cannabis industry and everything it has to offer.